While few in number, the Curi or Seers are one of the most influential and respected groups in Archaea. Believed to be the longtime descendants of the Icuni, they are the prophets and oracles of the realm. Their talent to foresee the future often comes suddenly and sporadically and sometimes with startling accuracy. As with the workings of the Three Paths, the future is indistinct and carefully guised. Therefore, the Curi are a cryptic people and often shroud their fortunes in riddle just as the Mists shroud the unknown. Found primarily on the island province of Sarus, the great seat of the Crown, the Curi live in relative peace in the Sarus Mountains. Generally, to keep the prophetic blood strong, the Curi rarely venture beyond their mountain homes. They are quiet, benign, empathic, and compassionate serving the Path of White. The Curi are led by the High Seer, the most enlightened and powerful White mistic in the realm, who lives in the only Curi citadel and city, Lleander. The Curi are adept mistics and mages. Their minds are clear and open and able to grasp the nature of spells and rituals. Though sometimes feared by those who do not understand, the Curi and their unique skills are widely sought. Each mayor, governor, sovereign, and the Sar himself employs a seer. Even the shrewd merchant or guild leader will have a Curi by his or her side. The Curi practice peace, benevolence, and adherence to the Path of White. Those that have left the island have taken their wisdom into the realm. Now, centuries of life beyond the protective shores of Sarus have mingled the blood of their second sight with that of an enlightened handful. Even those gently touched by Curi ancestry are often privy to the unpredictable power of the Curi sense. Unfortunately, some of the Curi that have wandered into the realm have succumbed to the workings of the other Paths. All Curi possess the Curi Sense, an innate, natural attunement to the ebb and flow of magic in the realm, to the shifting power of the mists and misticism, and to the workings of the Three Paths. This perception, this connection, this feeling is spontaneous and unpredictable. 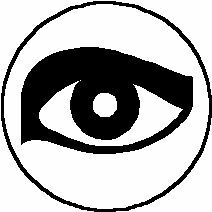 The Curi Sense may grant the character vague premonitions about the day, foresight into an action, warning of danger, or simply a heightened awareness or understanding. Generally, the Curi Sense is advantageous. However, at times, this special ability may make the Curi vulnerable to psychic attacks and powerful mistical effects such as the ninth circle ritual Corruption. As the character gains in experience and ability to control the Curi Sense, he or she may focus their thoughts and intuition to attempt to glimpse into the future, to read the pattern of time, to anticipate the shifts in the Three Paths. Akin to the fourth circle ritual Augury, the Curi may ask a single question about the near future. The question may be about a person, place, thing, or deed. The seer will receive a vision, a spoken message, a sign, or even a feeling. However, the response will often be ambiguous or cryptic. Once the Curi gains in significant experience and understanding, their ability gains in clarity and detail and functions as per the eighth circle ritual Greater Augury. As with all things dealing with fate and fortune, nothing is guaranteed and all things change. Only the Curi gains the information from the Augury. The Elder of the Realm must carefully adjudicate the use and results of the Curi Sense and of an Augury or Greater Augury. The Feats of Will and Feats of Magic earned by being a Curi do not count toward the maximum number of Feats a character can have. The gained Feats do not count toward organizational requisites.